Sure, no one likes the crash after a sugar high. 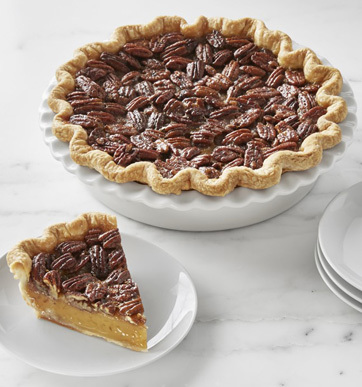 And is that extra portion of pecan pie really worth an expanded waistline? Although we all know that too much sugar can lead to internal health issues from increased blood pressure to diabetes to weight gain, we now know that excess sugar can also lead to faster skin aging. Hardly sweet news. Through the process of glycation, where sugar haphazardly binds to proteins like collagen and elastin in your skin. Once bound, these compounds are called Advanced Glycation End products, or appropriately named AGEs for short. As AGEs accumulate, they interfere with collagen turnover and production, locking it in a stiff, inflexible state. What does this mean for your appearance? Dull, wrinkled, and eventually sagging skin. There’s no way to sugar coat it. Too much of the sweet stuff isn’t good for your appearance. But Gelato and Grande Frappacinos aren’t the only sources of too much sugar. Sugar hides in many foods like yogurt, spaghetti sauce, and even OJ. This season? Culprits are gravy, cranberry sauce, and cider. Learning to look for and avoid certain ingredients like corn sweetener, corn syrup, honey, molasses, evaporated “cane” juice, and many compounds ending in “ose” (fructose, glucose, dextrose, lactose, and maltose) will lessen your sugar intake. The best way to remedy sugar sag is to prevent it before it occurs. How to do this? In addition to steering clear of frequent sweet treats, follow these 4 tips. Cut back on added sugarAim to have no more than 100 calories per day from added sugar, which is about 6 teaspoons total. Start counting and you might be surprised. Added sugars are sugars and syrups that are put into foods and beverages when they are processed or prepared. They’re everywhere, and most 20-30 year-old women consume 2 ½ times this recommended limit! As if inspecting ingredients for hidden sugars wasn’t onerous enough, AGEs themselves form in foods after exposed to certain types of cooking. Foods cooked with high and dry heat (think oven-roasted, grilled, or fried) are AGE heavyweights. To avoid inadvertently consuming extra AGEs, eat foods raw or consider preparations that poach, steam or boil. UV sun damage creates unstable “free radicals” in your skin that break down collagen and elastin, leading to wrinkles. Although our skin produces antioxidants to squelch these damaging molecules, AGEs disrupt their natural function making the skin more vulnerable to UV damage. Give your skin a break and slather on at least an SPF 30, especially if you’re outdoor grilling. Still craving for something sweet? Try a cup of blueberries. Blueberries are full of a compound called anthocyanin, which has remarkable anti-inflammatory and free-radical fighting properties. By combating free radicals and decreasing inflammation, blueberries can safely break the self-perpetuating cycle of AGEs and oxidative stress that underlies skin aging.